Any time I need to exercise and clear up my mind, I take my camera and wander. 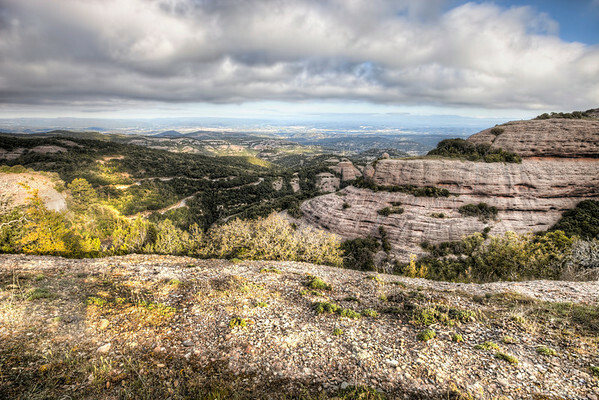 I decided to climb Montcau’s Peak but, as you can see here, this photo is not from the Peak. I took it from the hillside, but even from this height, it is possible to see almost the entire Bages region, a flat land full of small villages with the capital Manresa, on the left side of the picture.